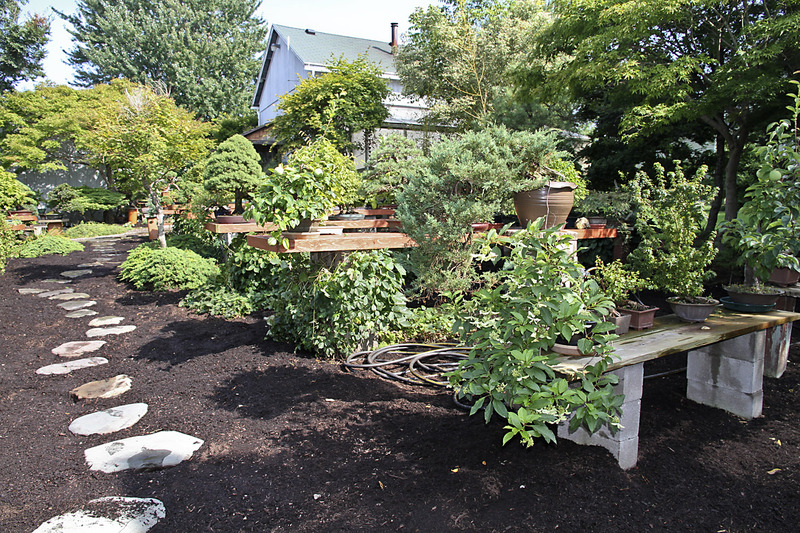 My family, Monday Senior Crew and friends are all busy preparing everything for the US National Bonsai Exhibition. Actually we have slowly been preparing for several months here in Rochester for the bonsai, suiseki, display backgrounds, posts and more. But now we are in full mode, which means I had six McDonalds Sweet Tea today. 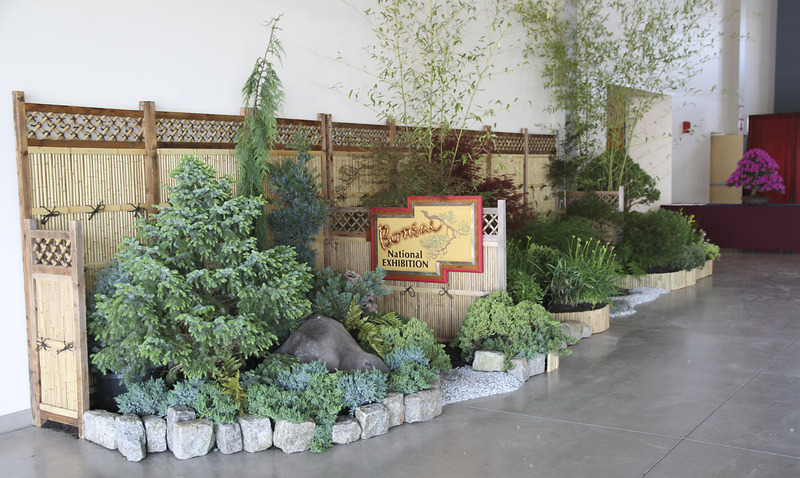 Today we purchased a new water hose so exhibitors can easily water their bonsai before bringing into the building for their “final acceptance.” There is a grassy area where it will be easy to water and do the final detailing. Some green moss will also be available for touch ups if necessary. Blood, sweat, tears and even a hospital visit have been experienced to get everything perfect for displaying both the bonsai and suiseki in the exhibition. 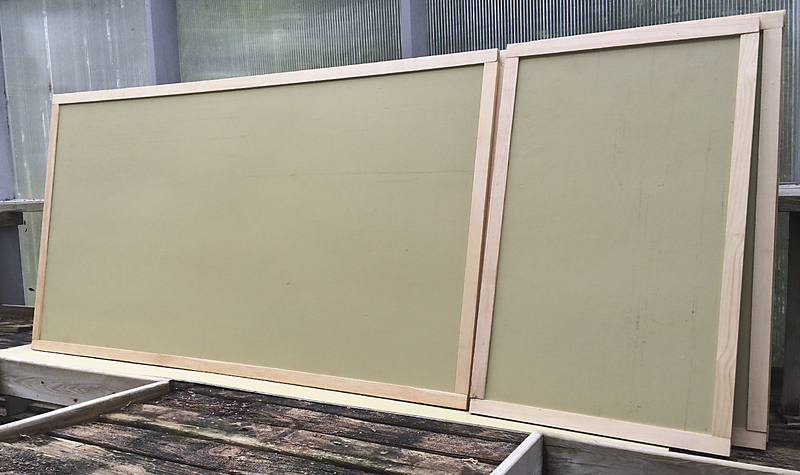 A new design for backgrounds have been designed, constructed and painted with special paint by Doug McDade, Tom Friday and Bob Pfromm. Professional sign painter Alan Adair is working on a 20 foot welcoming banner as well. 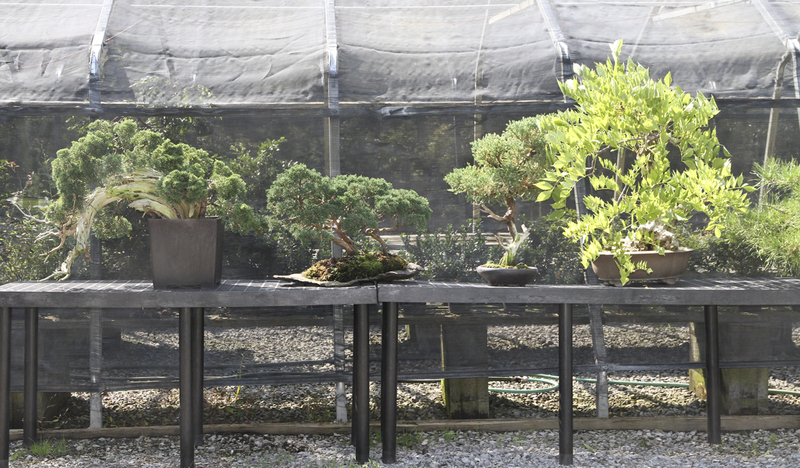 Photographer Joe Noga in North Carolina is testing his new 40 megapixel camera and lighting so he can capture the beauty of each displayed bonsai for the forthcoming Commemorative Album. He has so much photo equipment and two bonsai for display that he must rent a trailer to transport everything to Rochester. 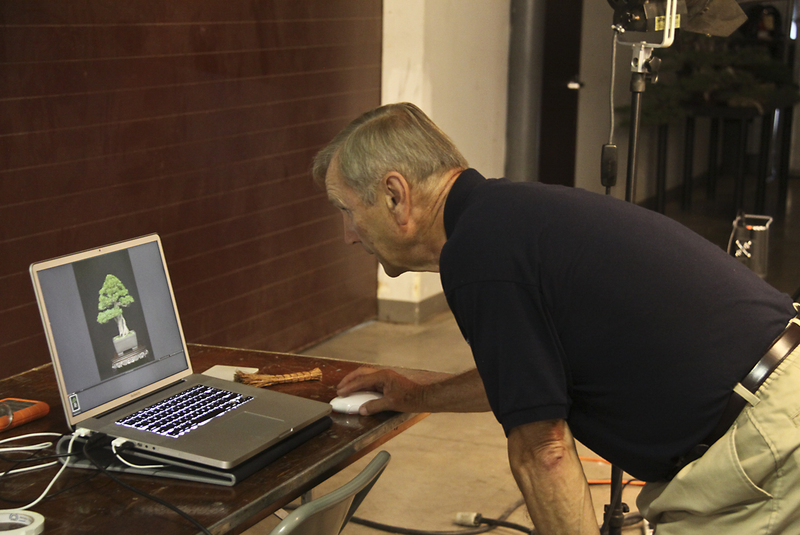 Marc Arpag with Bob Blankfield are designing and constructing items for the welcoming garden. 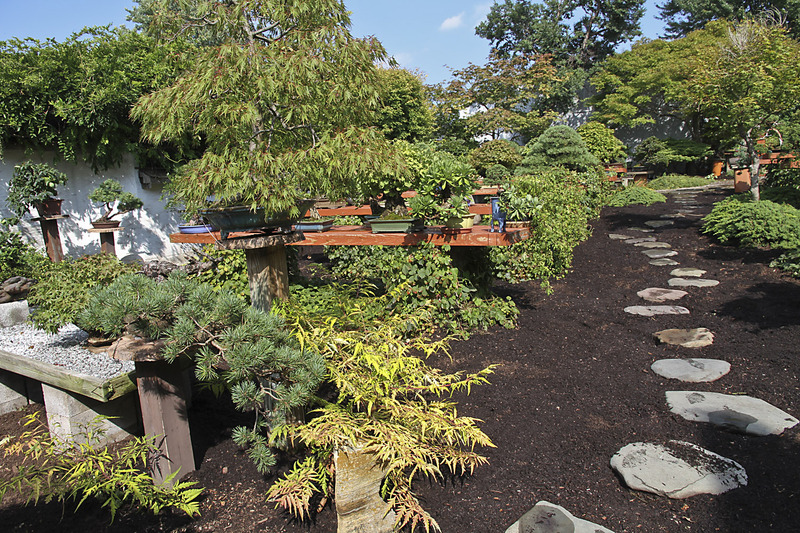 Plants must now be selected from one of our sponsor’s nurseries which specializes in Japanese maples and conifers. Ron and Jo Anne Maggio, our publicity committee have arranged appearances on all three Rochester TV channels. Additionally, the “Weekend Guy” will be shooting at the exhibition on Friday for his show which will be broadcast all through Saturday and Sunday on TV. I’m also busy mossing and doing final detailing on the bonsai for my clients and my trees as well. When finished they are placed next to the studio where I check them several times daily, from different angles to make certain they are at their peak of beauty for display. 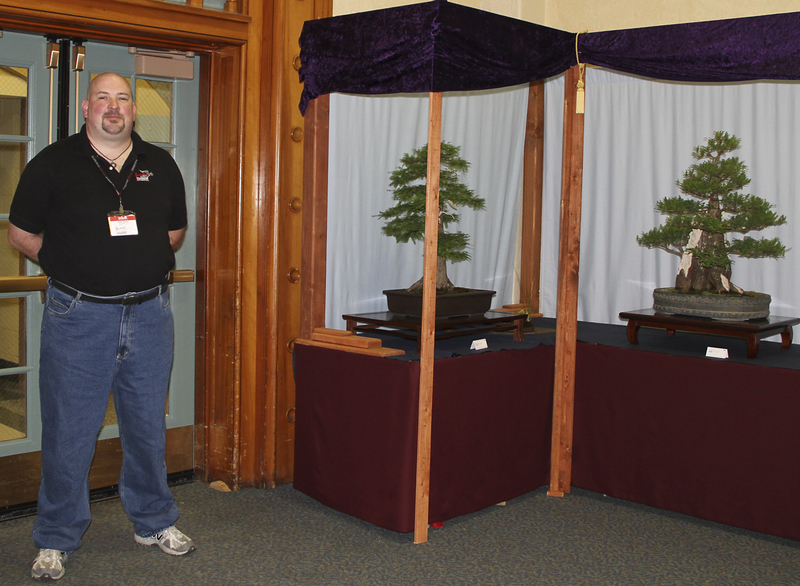 Ron Maggio’s Dwarf hinoki cypress bonsai won our Member’s Choice Award at the May Upstate New York Bonsai Exhibition. 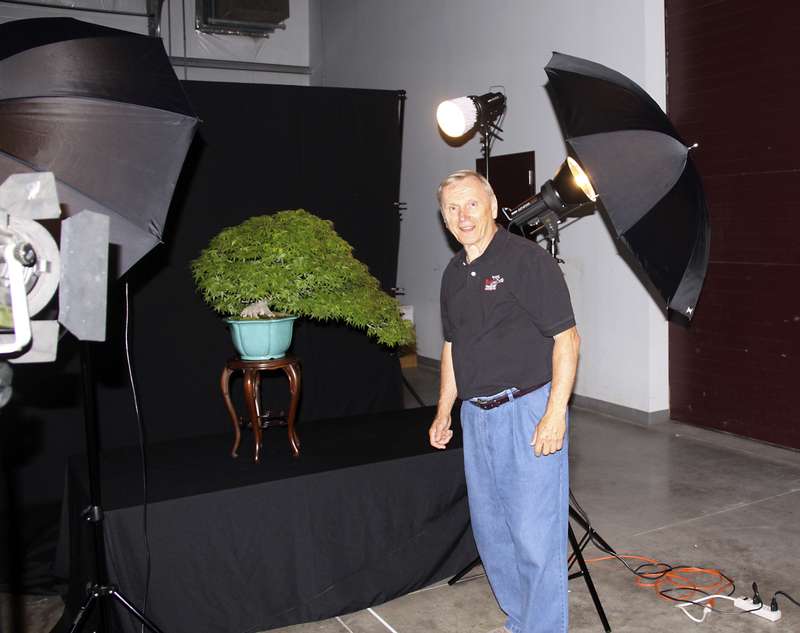 Joe Noga photographed all the bonsai in the exhibition. After studying the tree’s photo I can see some trimming is necessary so tomorrow out come my special scissors which are extremely sharp. Then more mossing is necessary. Display tables, accessories and scrolls are also being assembled now. 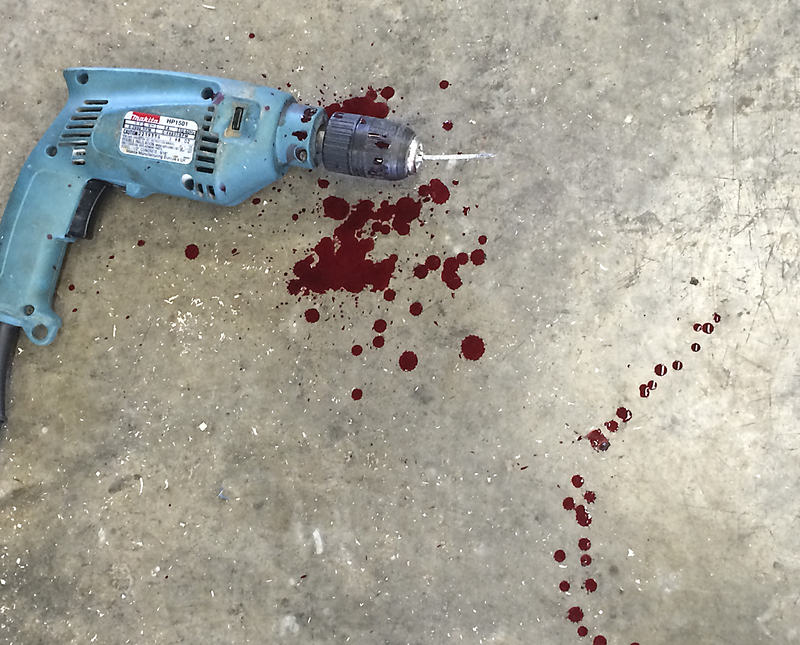 They will be carefully cleaned a few days before the exhibition. The Invitational Suiseki Exhibition is complete and those displays must also be designed and matched with accessories and a few scrolls. We are quite pleased that three of the top suiseki (and display as well) authorities from California will also be joining us displaying their stones. 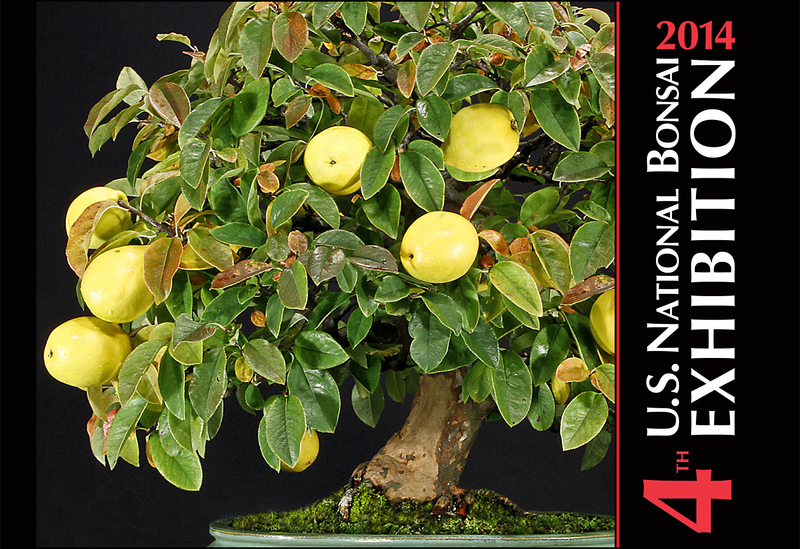 Hideko Metaxas and Larry and Nina Ragel will bring their suiseki to share with visitors to the US National Bonsai Exhibition. 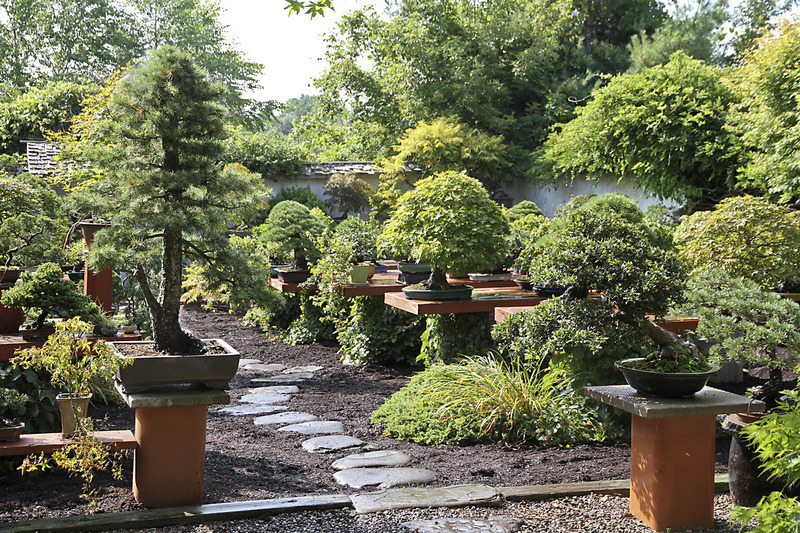 Selecting the bonsai and other items for the Benefit Auction has begun. Many of my larger bonsai have been selected, including Yuji Yoshimura’s last demonstration bonsai. Containers, books and other art will also be included. 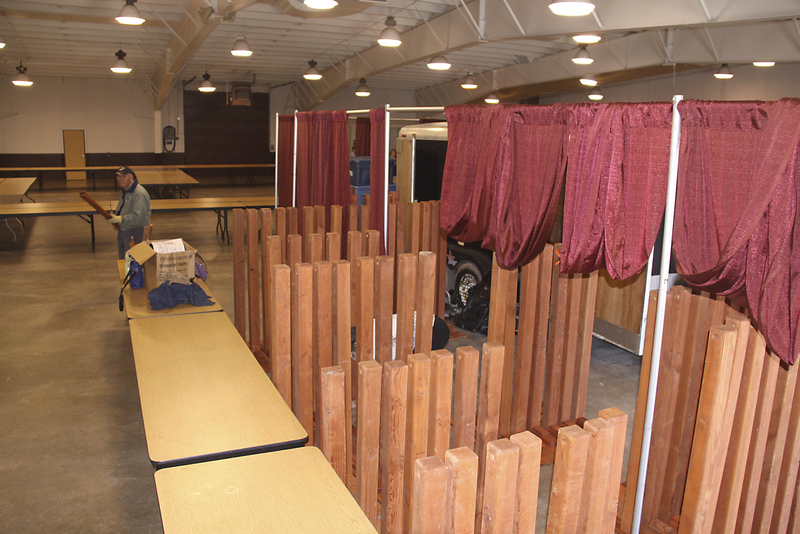 Plus, vendors and exhibitors will also be bringing many items for the auction, which will take place after the Award Ceremony where $6,500 cash will be distributed to the winning exhibitors. Diane is quite busy registering everyone for weekend passes, daily passes and the Award Banquet and Benefit Auction. She often contacts people asking for their partner’s names so the entry badges will have the correct names. Approximately 40 valued volunteers have signed up for welcoming visitors, photo assistants, security, admission, set up and take down as well. The US National Bonsai Exhibition would not exist without these special friends who go all out to promote bonsai art. Additionally our sponsors, donors and vendors have provided some of the funds to pay for the exhibition. Today my son Chris, his buddy Ben and Diane moved 10 yards of mulch into my display garden so visitors to our Autumn Open House & Sale can easily walk on a soft surface. Weeding is a never ending task and Rick Marriott and Paul Eschmann are doing a great job trying to remove all the unwanted vegetation. 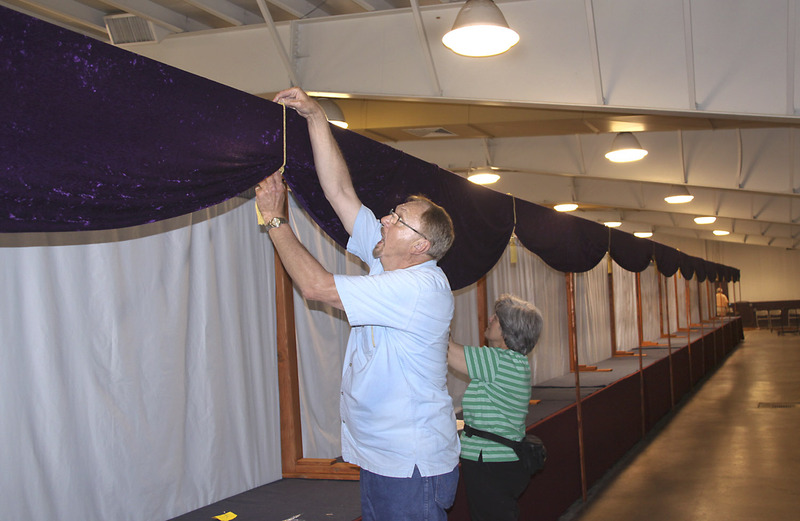 Of course, there are a few additional tasks: preparing and printing bonsai and suiseki labels, certificates, exhibition guide, name tags, signs, maps, flyers, repainting posts, ironing curtains, tablecloths, skirting and purple bunting (complete with golden tassels). 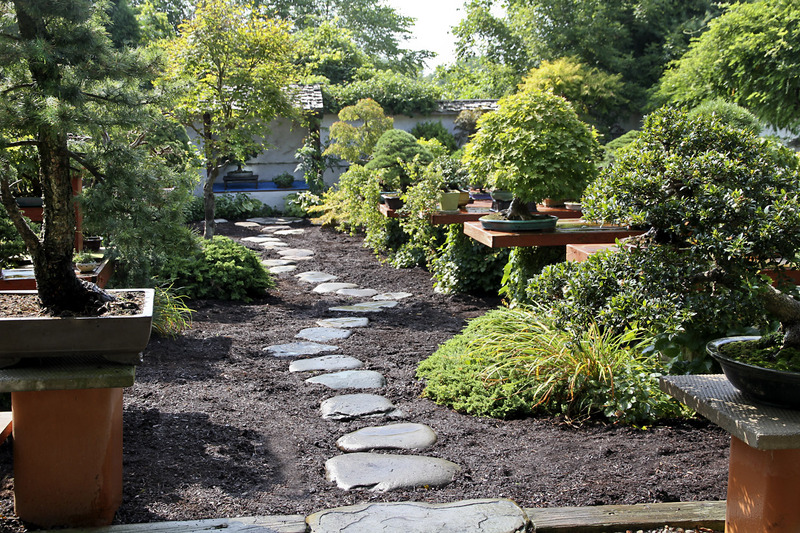 With the help of my good friends, Senior Monday Crew and family everything will be ready and perfect for visitors to the 4th US National Bonsai Exhibition. The bonsai still need watering, but we are keeping up on that as well. 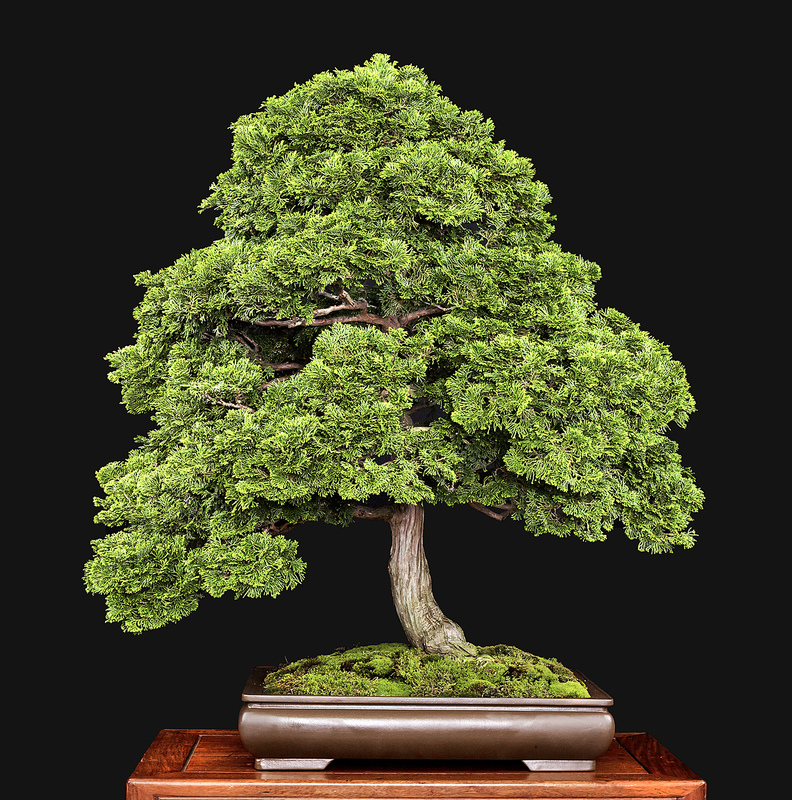 I look forward to welcoming everyone to a unique exhibition of some of the finest bonsai in the United States.